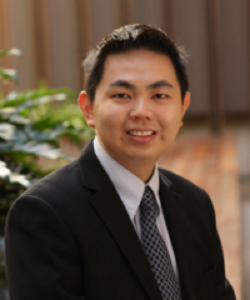 Dr Jui Keng (Kelvin) Tan – one of the first students from Malaysia’s HELP University to gain his PhD at UQ Business School – has won a Dean’s Award for Research Higher Degree Excellence. Dr Tan is now a full-time Lecturer in Finance at UQ Business School with research interests including capital structure, mergers and acquisitions and corporate governance. So far, two papers drawn from his thesis have been published in Accounting and Finance and The Journal of Real Estate Finance and Economics. The Dean’s Award is the latest in a series of awards and scholarships won by Dr Tan. In 2010 a paper he co-authored was the winner of a European Real Estate Society (ERES) award for the Best Paper on Real Estate Investment. In the same year he was also awarded a UQ New Staff Research Start-Up Grant for research into the role of Australian CFOs survey in Capital Structure Theories. These awards are rare distinction in his field of study. Dr Tan, who gained his Diploma in Business from HELP University in Kuala Lumpur in April 2004, went on further his studies at UQ with several scholarships, including BEL International Undergraduate Scholarship, International Honours Scholarship and UQ Joint Research Scholarship. He then became one of the first HELP students to complete his PhD at UQ Business School.